It takes 40 hours to make a tutu. Creating 18 of them – from 300 metres of net, 40 metres of silk, 4300 crystals and lace for decoration, and coutil (corset under the structure) – is a huge undertaking. As part of November’s Graduation Season our classical students will be performing the Grand Pas from the 19th century ballet ‘Paquita’. The full length ballet is rarely performed now but the Grand Pas, a later addition by Marius Petipa, is a major cornerstone of traditional ballet repertoire for companies around the world. We are very fortunate to have master teacher, and celebrated ballerina Anna-Marie Holmes staging this work for our students this year. We are looking for partners to help bring this exciting work to the stage, giving our young dancers the opportunity to show their technical virtuosity in fitting style, through donations to our tutu appeal. 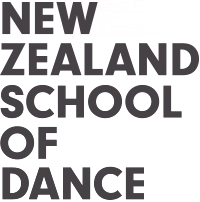 Award winning costumier Donna Jefferis has created the designs and will work with students from Toi Whakaari NZ Drama School to make the tutus. The silk, net, lace and crystals are assembled; and our students have begun to rehearse ‘Paquita’. Now we need to raise $9,000 to make 18 tutus for the girls dancing the Grand Pas. A donation of $500 will support the making of one tutu, but any amount will be very much appreciated.